Enter a comment if you have ever used such a device or something similar and let us know if it worked to your satisfaction. What do you think about such a device? Personally I doubt an artist would use anything like this, but I may be wrong. 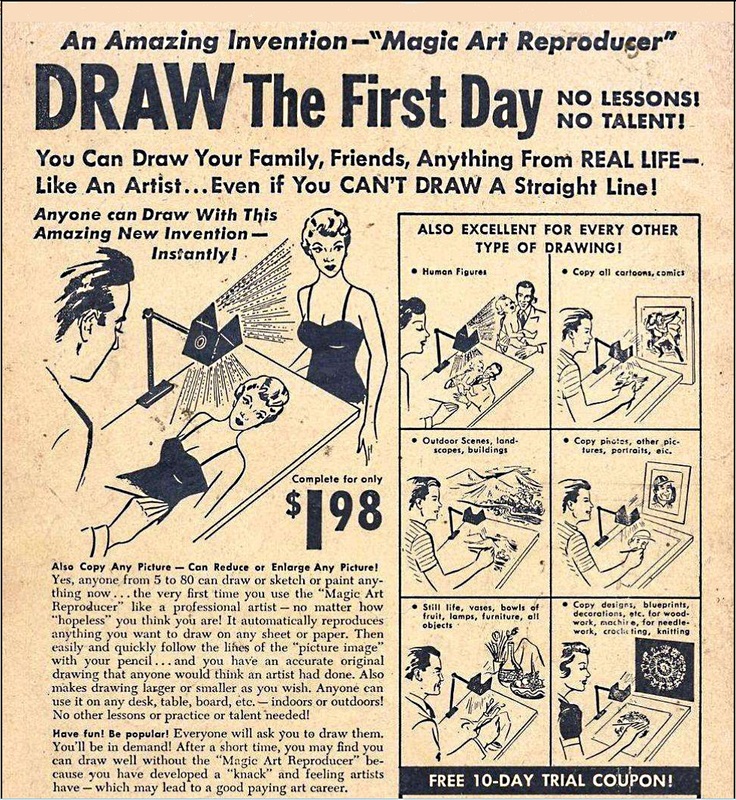 When I used to draw back as a teenager I would never consider using such a device myself. I remember seeing this same ad many times back then. I thought it was sort of cheating if such a device was used. Notice the price. It’s almost unbelievable that a company could advertise something with a full page ad and the price of what they are advertising is less than $2. Wow, have things changed – and it doesn’t look like it’s for the better.